This month, I was in the studio recording some tracks for my wife’s latest album which is a tribute to Billie Holiday. I took this opportunity to try out a couple different mics for the sake of comparison. In the process of conducting this experiment I came up with some helpful saxophone recording tips to share as well. Whenever I’ve recorded in a nice studio, they’ve set me up with a vintage Neumann mic. 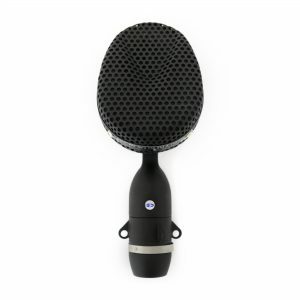 These are the industry standard for vocals and work well for lots of other instruments as well. Problem is, these mics are very expensive. The one I used in this experiment would sell for around $12,000. Not quite in the budget for a home studio. The sound I’m looking to get is usually more along the traditional/vintage lines and I have learned that some of my favorite saxophone players like Chad Lefkowitz-Brown and Tucker Antell are preferring to record using ribbon mics. 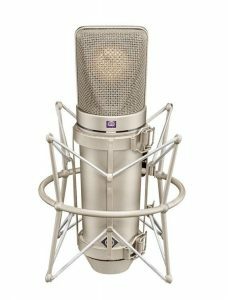 Watch the video below to see and hear my microphone showdown between the Coles 4038 and the Neumann U67. I play one full live take in an isolated recording room at Studio 26 in Antibes, France. The rest of the band is playing live at the same time. You can hear a little bleed of this from my monitor headphones. In the video I switch back and forth between the 2 mics with every phrase I play on the sax. I find this quick back and forth helps hear the differences between the mics. After listening, please comment below or on the YouTube video page to let me know which sound you prefer and why. Before knowing which mic is which of course. Here are audio only tracks of each mic if you prefer to listen that way. *Saxophone audio starts 13 seconds in. Keep in mind that when it comes to recording any instrument, the most important factor is the player and the sounds they are producing. Next is the mic and gear you are using, but also very important is the room in which you record. There are no effects on the recordings we just heard, but the room itself adds it’s own color and character to the sound. It’s important to record in a room that has a good sound. You may have noticed that even though I remained fairly still throughout the recording, there were moments where I moved slightly, and this affected the character and volume of the sound. It’s really important to stay still. I took a small step forward before this take and that had a significant impact on the sound compared to what the engineer heard during the sound check. When doing a sound check, it’s important to mark where you’re standing in relation to the mic. We later put some tape on the floor to help keep me in my spot. I wasn’t actually taped to the floor, just a line to mark where I should stand. It’s hard to determine what mic placement will give you the best sound on your horn while you’re playing. When you don’t have a sound engineer to help you with mic placement, a good idea is to video yourself while trying out different positions. Then sync the video with your audio to hear the differences. I sent an email to Chad Lefkowitz-Brown who was featured in my video and he was kind enough to give me some feedback on his experiences recording with the Coles 4038 and AEA ribbon microphones. The engineer on my session did a great job trying different mic positions and he felt it sounded best pretty close. I always feel like the Neumann brings out too many of the brighter frequencies in my sound but I thought you sounded great on it. My favorite mic for my sound is the AEA ribbon mics based on the vintage RCAs, but studios don’t always have them in abundance. The only one from the session I used the Coles on went to the bass. For me, I think the Coles has a really nice pop/edge and warmth. I think the AEA brings out even more warmth with more subtone and a rounder core. A little less pop/edge on the AEA, but I prefer the tone it picks up. Love what you say about the three variables of musician, gear and room. Spot on. So far in the comments section of the YouTube video, there have a been quite a few votes for both mic A and mic B which I think is very interesting. It goes to show that like everything else in music, so much comes down to personal taste. We all hear the same things slightly differently. Even the individual shape of our ears, heads and bodies changes the way each of us interprets sound. The album is being mixed right now, and I’m still not sure which mic we are going to use for the final product. I will follow up on this post when the album is ready so everyone can listen and weigh in. If you’d like to hear more of my wife’s music visit her YouTube Channel. Here’s a video we did using the Coles 4038 Ribbon mic for her vocals, and I love the sound we got. Thanks for all the feedback so far, it’s been fun sharing this with everyone and hearing your thoughts. what reed and mouthpiece are you using ? Thanks for your comment. I’m playing a Jody Jazz HR 7 and a Rico Jazz Select 3H reed. I preferred mic B. It seemed mellower, creamier yet with good definition and detail, had more bottom and less sharp edges than mic A. Pretty much agrees with Chad’s assessment that Neumann may be bright, but I agree, Jay sounded great with both.